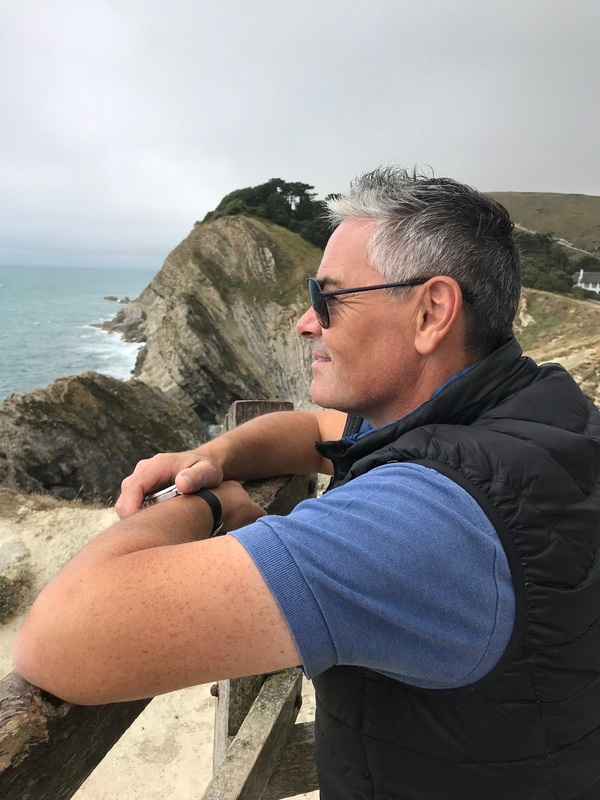 No, that is not the Mediterranean behind me, it's the stunning Lulworth Cove in Dorset. Last weekend we escaped for a couple of days. It was a real spur of the moment thing, but those are often the best aren't they? This is quite a long post, but bear with me, I think you'll like it. Some people think we're totally mad driving all that way for two days by the coast, but we don't care [we drove to the Lake District for the day once!] but LIFE IS FOR LIVING and you've gotta do these impromptu things whilst you can, next year we might not be able to. The reason for us travelling to Dorset? 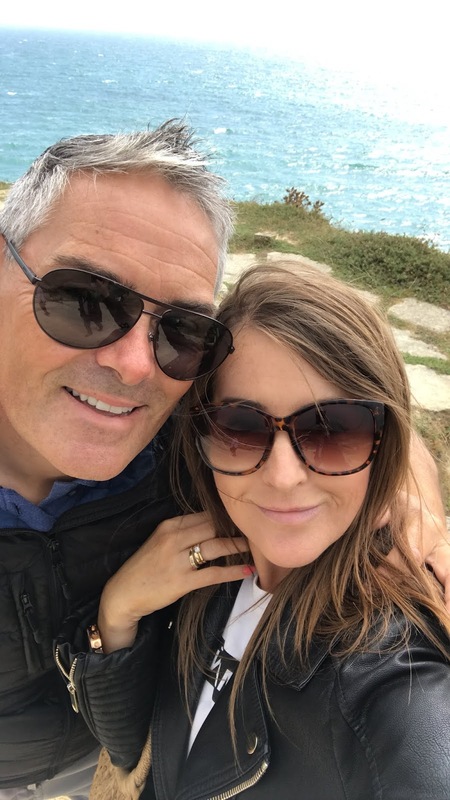 Well, Weymouth and Dorset hold very special childhood memories for me and then more memories with our kids as they were growing up. 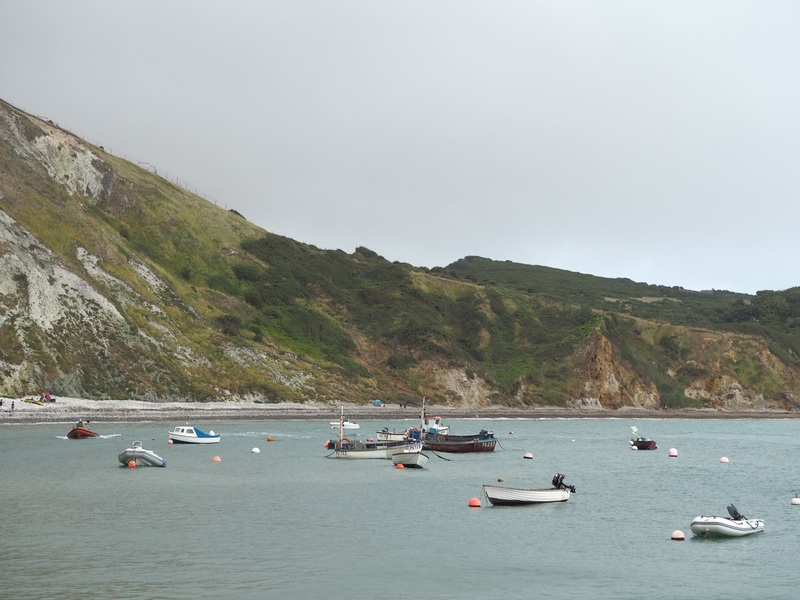 This breathtaking location is Lulworth Cove and we visit every time we come back. I told you about my childhood memories, well, this beautiful place holds the most. 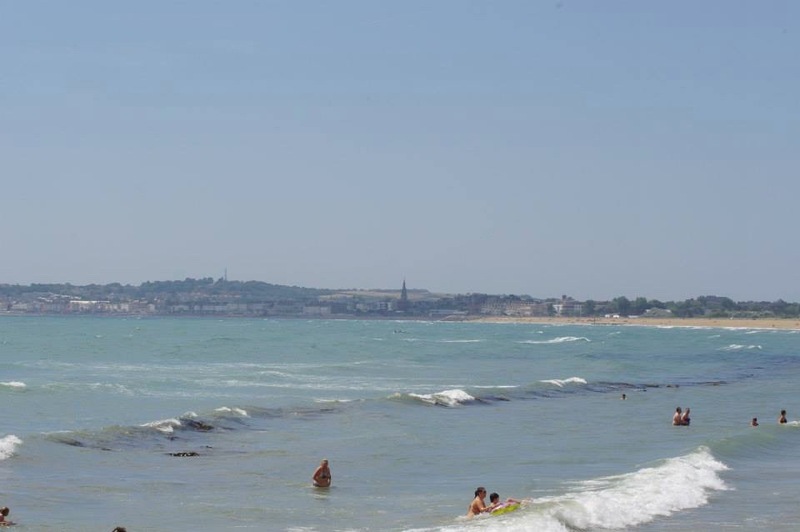 My sister and I were very lucky, we always had a holiday abroad and then our parents would also take us to Weymouth, sometimes twice a year, to meet up with their friends and their kids who travelled from Lincolnshire. We often rented a caravan and they camped on the same site and there was always such a big group of us. I can remember so clearly all the laughter, the fun, the friendship and nights spent sitting by their tent singing along with whoever was playing the guitar. I had the best childhood and when I come back here I'm transported back those special times, the walks, the exploring, the diving. I'm sure Nick gets fed up of hearing me rant on about 'those days' and everything we got up to. 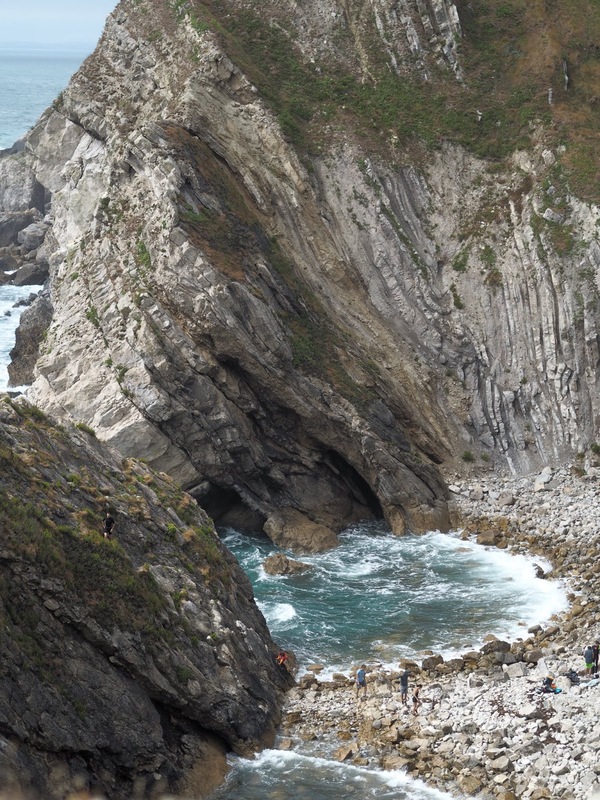 The beautiful little cove below is called Stair Hole. You can see the land movement thats occurred over millions of years and with it's two small arches and many caves, it's great for those that want to explore and see geology at it's finest. Of course I've swam through those arches, have been in and out of those caves and climbed to the top of Stair Hole. We used to help Dad and his friends carry their diving equipment down the cliff side and the whole lot of us would spend the day there. It was a bright and warm day but rather blustery! I stood here for ages looking out to sea, just remembering. There's something so mesmerising about the sea don't you think? It just draws you in. 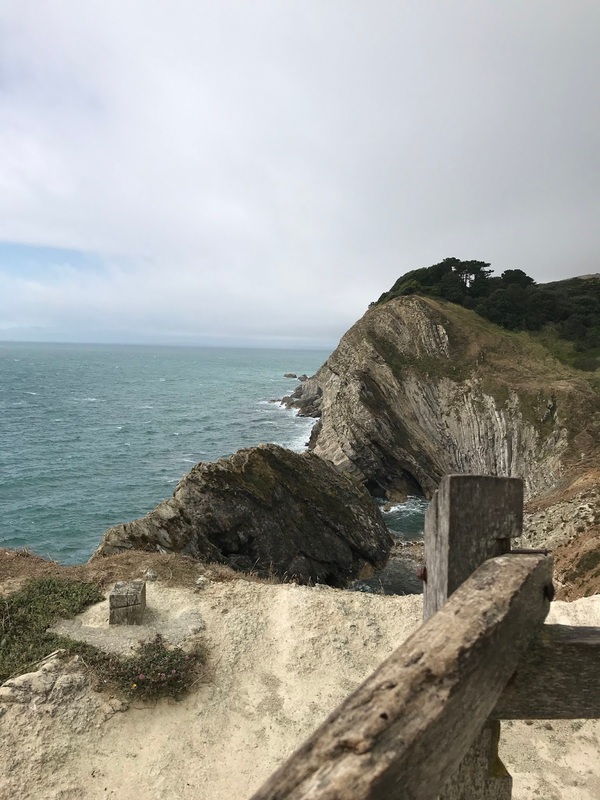 Anyway, coming back down from the cliff tops you'll find the cutest little area before you hit the cove itself, with gifts shops, cafes, ice cream and fudge parlours, pubs and B&B's. I had THE best ice cream EVERRRRR here. It was two scoops, not greedy as could have had three; one was honeycomb and the other was blueberries and clotted cream flavour!!!!! Oh. My. God. It was to die for and I did take take the obligatory photo for you to salivate over but because I was excited to get stuck in and was trying to do it one handed [Nick was too busy devouring his to assist] it came out a bit blurry! Soz. Spot Nick getting the Insta shot! The cove is fab, although it's a pebble beach so not the comfiest. 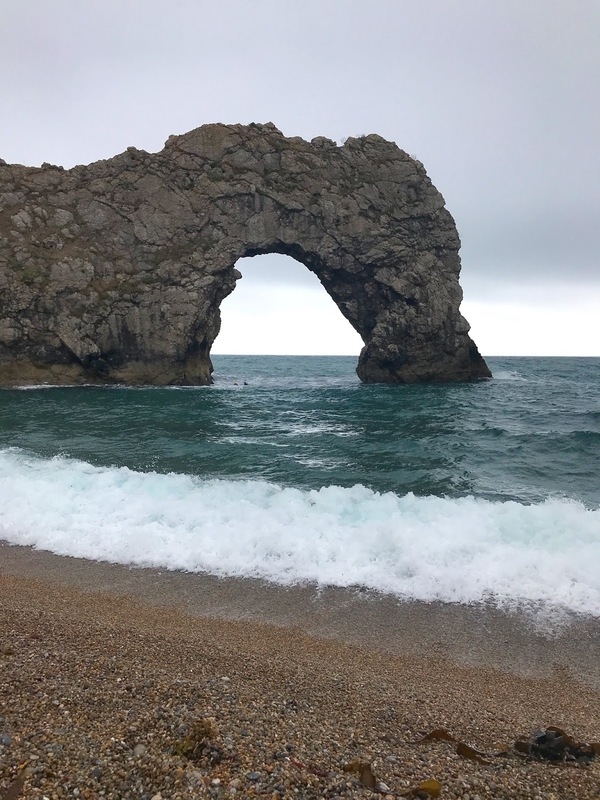 In the height of summer you'll often find small yachts moored and you can pay to go on one of the speedboat trips that take you all around the cove and down to view Durdle Door. We took the kids on it years ago and it was so much fun. 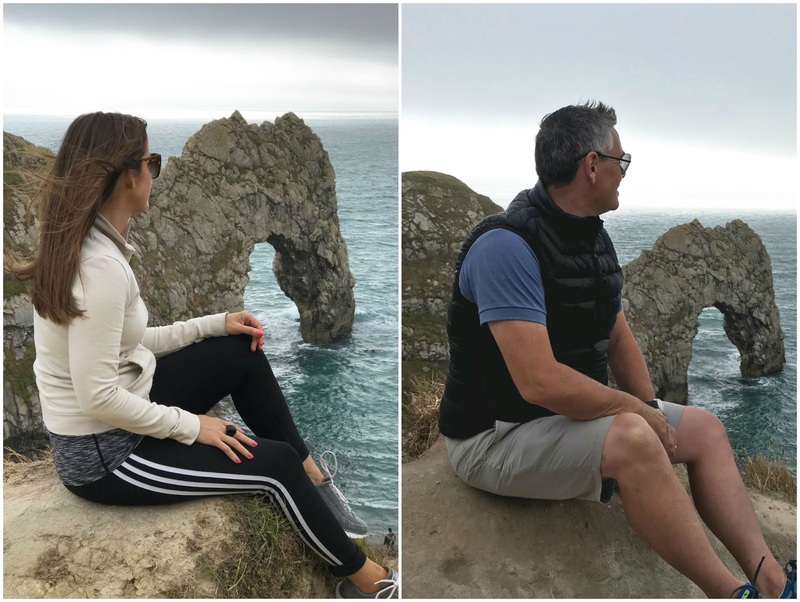 A little bit now about our [definitely not luxury] accommodation before I take you up and over to Durdle Door. We camped. It was only for one night. I don't mind camping but can only do a few nights, I think the longest we've done is about 4/5 nights max. We camped quite a bit when the kids were little. Kids love to camp out don't they! Although, ours was a bit more glamping. We always had electric hook up so I could take my hairdryer, straighteners, electric kettle, everything but the kitchen sink. Proper camp beds too, no air bed for me. Listen, if you want me to camp I have to be comfortable. End of. This time we did have a comfortable bed but as it was a fleeting visit we just took one gas ring to boil the kettle on, a bit of food, clothes and that was it. Mind you, the car was still rammed to the hilt, leaving us looking like the clampits on tour. For the last however many years we've stopped at a campsite called Bagwell Farm, located to the west of Weymouth town. 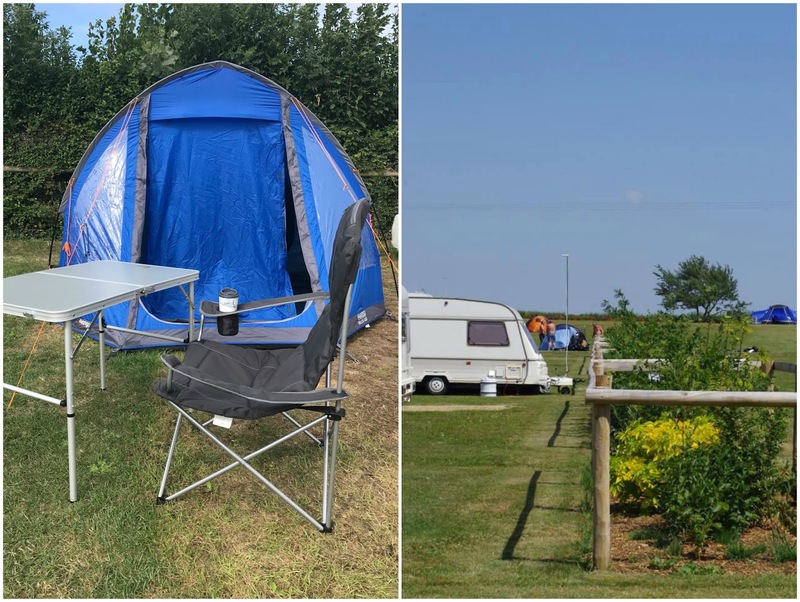 It's a family run campsite, lovely and quiet with one little shop, a small pub, park and plenty of space for the kids to run wild. If we go to Weymouth this is where you'll find us. It's those memories again! We always had a huge tent, well, we had to for all our gear, you could of had a party in it no problem, but we don't need that nowadays so bought ourselves this small one [fully sown in ground sheet a must] for times when we have that urge to just hop off somewhere. It was nice to just sit outside the tent with a cuppa, watching the children play and hear their laughter. We sat there, reflecting, reminiscing, and we both said it felt good for the soul. I don't know if you saw my Insta stories but we were up later than our neighbours, and that was at 9.45pm, for goodness sake, we were trying to cook sausages in the dark and laughing like teenagers, trying hard to be quiet and not cause a disturbance but you know what it's like when you try and stifle your giggles, yep, you get louder! A tiny bit of alcohol may have played a part. We were also giggling like little kids as we tried to get into bed, wrapped up to the nines, cos it gets cold at night, even in the middle of summer you know. 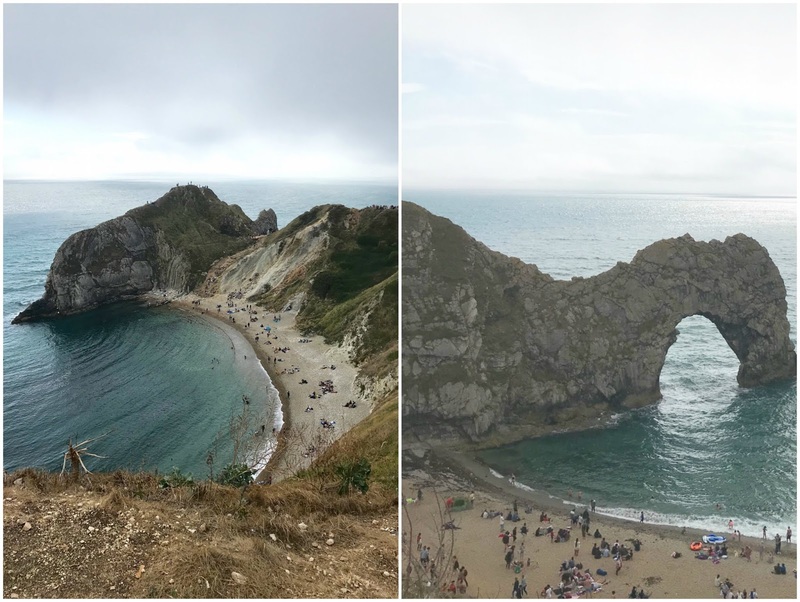 Want to see the famous Durdle Door? We took the path along the jurassic coastline. 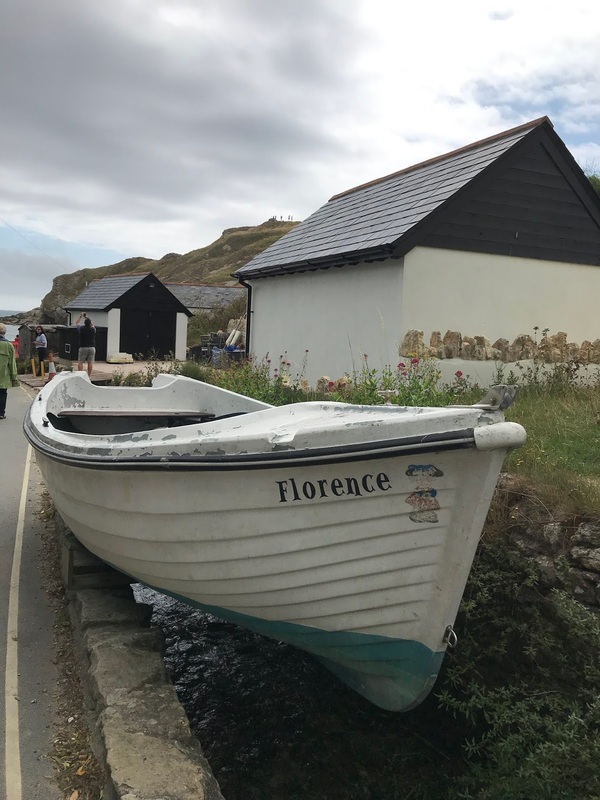 You park at Lulworth Cove and then walk. It's quite a steep hill when you start but if you're fit-ish you can make it. Once you've conquered the steep incline the rest is pretty flat although a little rugged under foot. 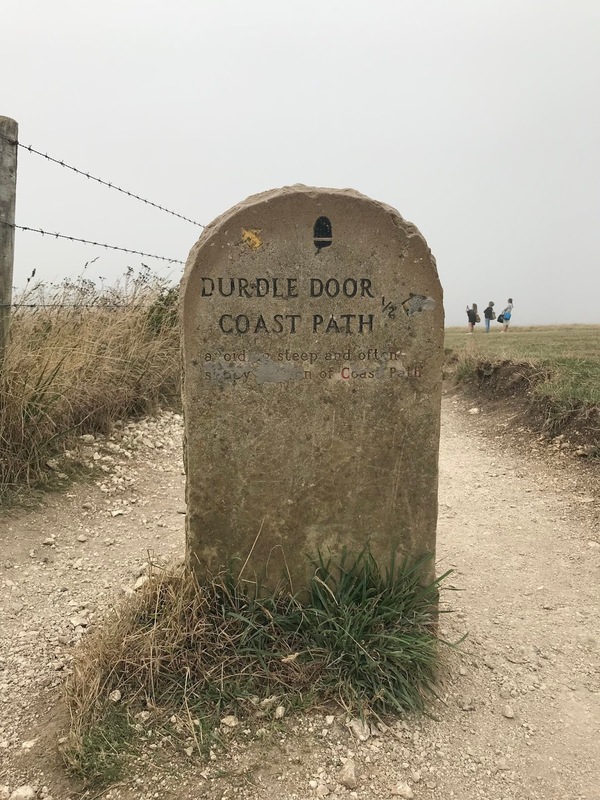 It's about an hours walk but be warned there are no toilet facilities or refreshments on route not until you reach the camp site at the top of Durdle Door. Go to the toilet and grab refreshments at this point because if you do go down the steps to the door there's nothing but beach and a pebble one at that. 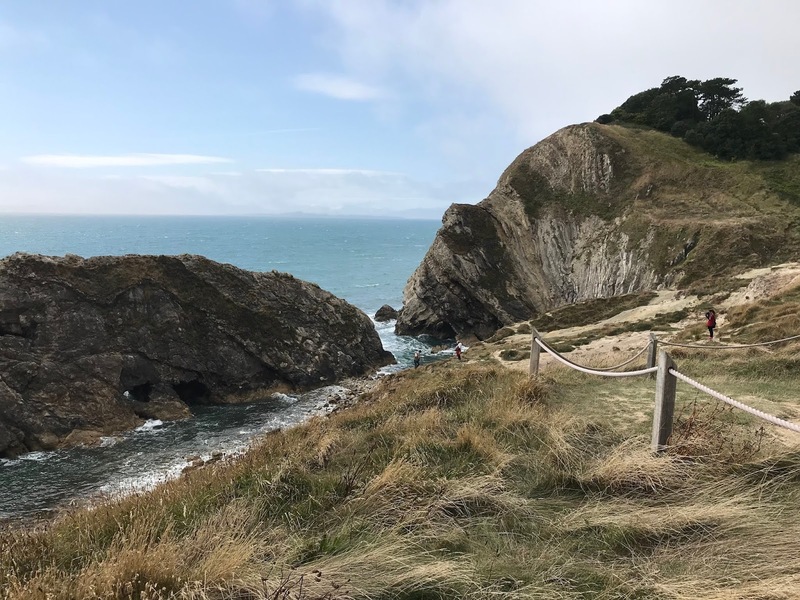 If you don't fancy the long hike there is a camp site just before you get to Lulworth Cove, you can park there but it's still a good walk and down hill. You guessed it, I've swam through that door umpteen times!!! That walk I've just talked about, well, if the dads chose to dive from the door instead of Stair Hole, we [mostly the grown ups] used to lug all the diving equipment, tanks, weight belts, the lot, along that path from Lulworth cove all the way to Durdle Door and all the way back again after a long day. The campsite car park wasn't there all those years ago. One of my other favourite places to visit is Chesil beach and Portland Bill. These two photos are not from this trip as we didn't have time to fit it all in, they are from a few years ago, but I wanted to show you how stunning it is. 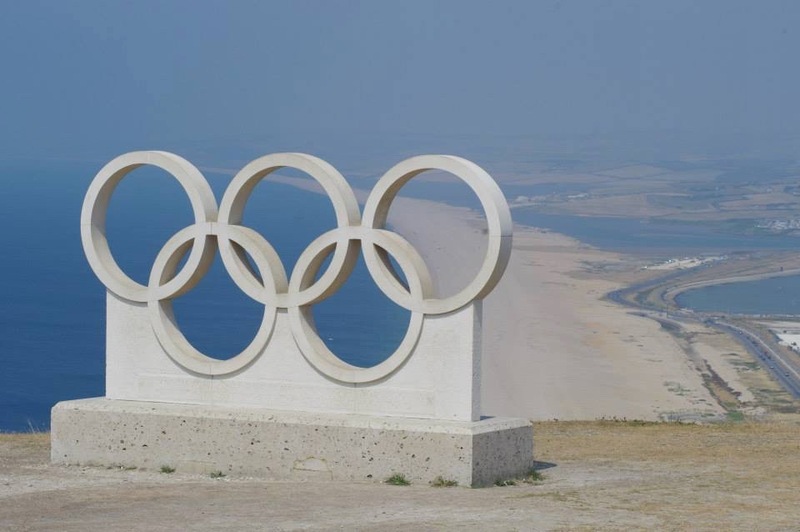 You'll find the Olympic rings on the way up to Portland, they hosted the sailing for the 2012 games, and they're there in all their glory overlooking Chesil beach. 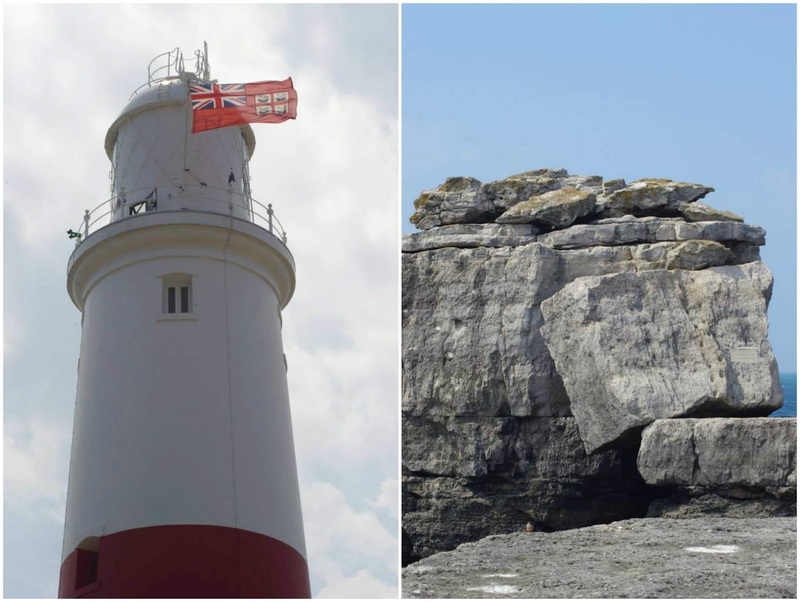 Keep on going and you'll eventually arrive at Portland Bill lighthouse. I've lost count of how many times I've been here. I'll be honest there's not that much to do when you get to the lighthouse but we always brought the kids, to walk, to climb or just bring the blanket and sit for a while and have an ice cream. 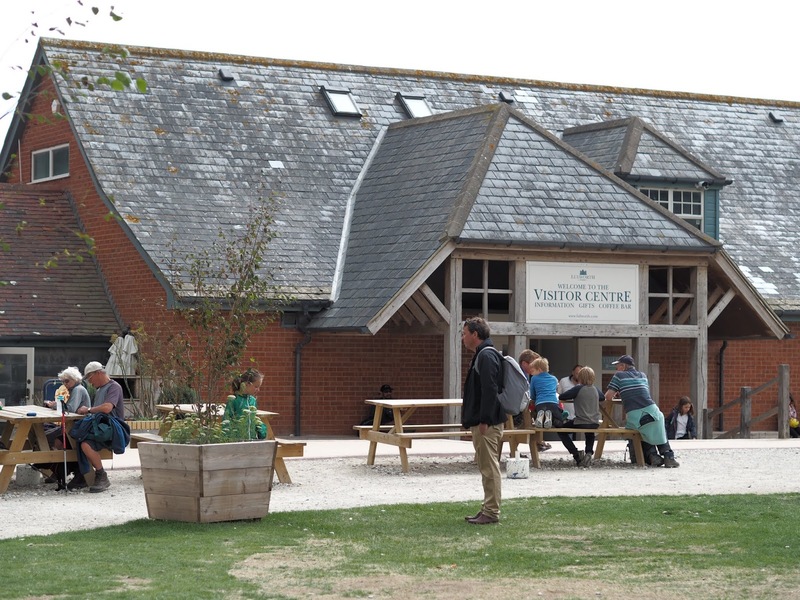 There is a visitors centre and you can go up the lighthouse too. If you're feeling brave you can climb Pulpit rock! We spent our other day, or should I say half day, wandering around Weymouth town, eating fish and chips and checking out the little shops. It was nice as well because we stopped for a drink or two and although cloudy it was warm so we could still sit outside, watch the kids crabbing and the world go by. 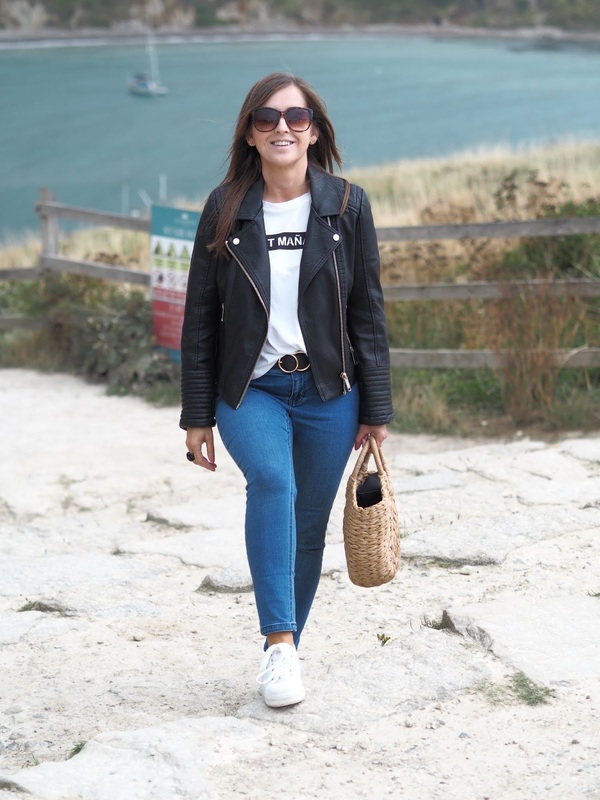 Weymouth has so much more to offer, one of the best UK beaches I have been on, Monkey World [incredible], and the tank museum to name but a few. Those two days away were exactly what we needed. It was real, it was emotional, sentimental and refreshing. It doesn't have to be about spending lots of money and having all the luxuries. It can sometimes just be about the simple things in life. Quality time together. We laughed, I mean real belly laughs, with tears and we've not done that in quite a while. It was good to leave all the stresses behind. That sudden urge to go really paid off. I think everyone should go camping at least once in their life. 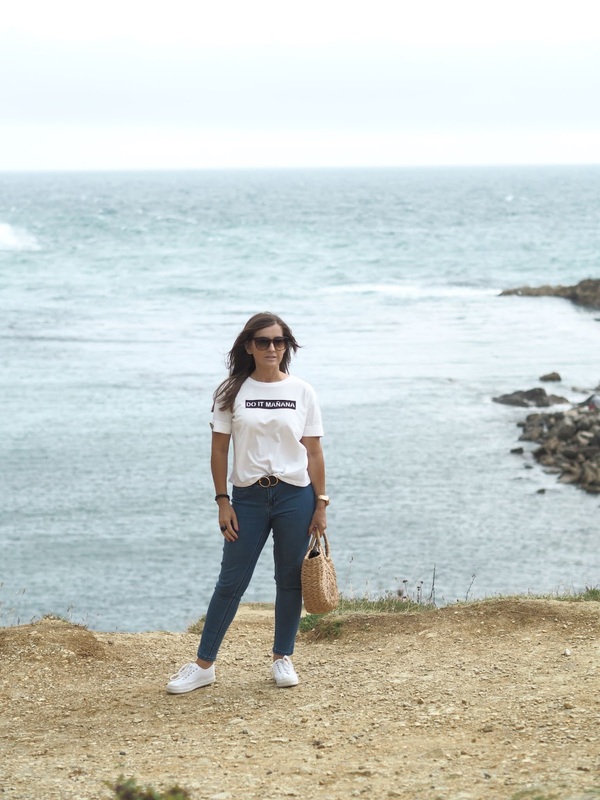 I hope you'll visit one day and if you do, promise me you'll go to Lulworth, Durdle Door and Portland Bill, all of my very favourite places. Oh, and let me gently remind you again, that life is for living. If you have an urge to do something and it's within your reach, whether that's travelling, doing something spontaneous just because, buying something, or stepping out of your comfort zone, just bloody do it. Life really is too short you know.